India is a country very dear to my heart. A culture so full of vibrancy and colourful tradition, it’s impossible not to be completely enchanted by it. But while it has the second largest population of all the countries on Earth, it also has a distinct rich poor divide and although it is home to 20% of the world’s population, it contains 50% of the world’s poorest people. Almost 500 million survive on less than $2 a day. So, I have chosen to be involved with a handful of charities to help raise money and show support for India and Asia and several key initiatives that will make an impact on the future for these nations. I recently supported Pratham UK by taking part in the official British 10k London Run. 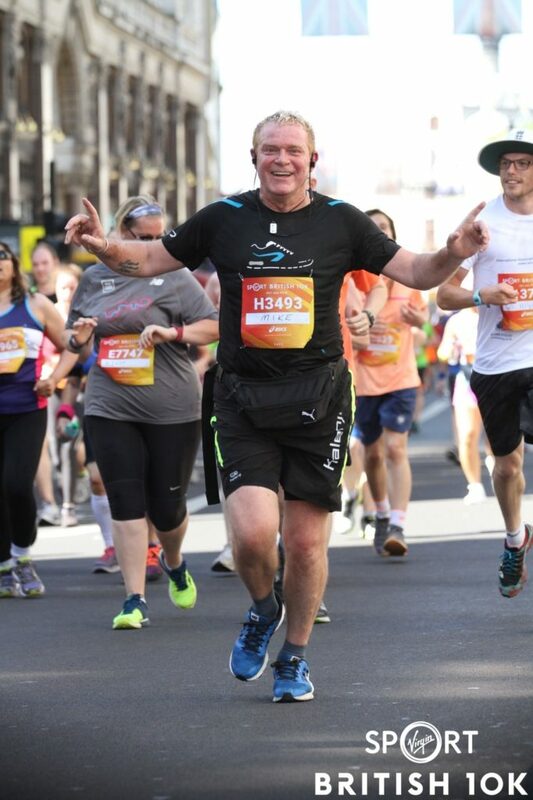 I was delighted to don my running shoes again since my 40 marathons in 40 days challenge for this incredible charity, which has set out on a mission to ensure that every child in India has access to education. And what a job they have done so far, having dramatically improved literacy levels in India and galvanised essential change to the country’s education system – bringing primary education to 33 million children through its flagship programme ‘Read India’. They are also making it their mission to keep girls in India in secondary education – up to 70% drop out before year 11. Pratham aims to set them on track to fuller qualifications and better career prospects. Great work Pratham, keep it up, I am very happy to be a supporter! The British Asian Trust is another organisation that I am proud to support as a Founding Circle Member. We were recently invited to dinner at Buckingham Palace to celebrate the work of this incredible organisation, what an honour! Founded in 2007 to tackle widespread poverty and hardship across Asia, the organisation focuses on four key areas: Anti-trafficking, Education, Mental Health & Disabilities and Livelihoods. The work BAT has done to mobilise funds to help disadvantaged people in Asia is inspiring and humbling. Please take a look at everything they do to understand why I am so proud to be associated with the organisation and the great work they put into each and every project. Plus, they have some pretty inspirational ambassadors helping to raise awareness of these areas of concern – an amazing group of people to be sharing the mission with! The Asian elephant is now classified as between “endangered” and “critically endangered” with a population of just 30,000 remaining. These majestic animals need all the help we can provide to protect them against loss of habitat, poaching and illegal trade. Did you see the Elephant Parade around London this year? 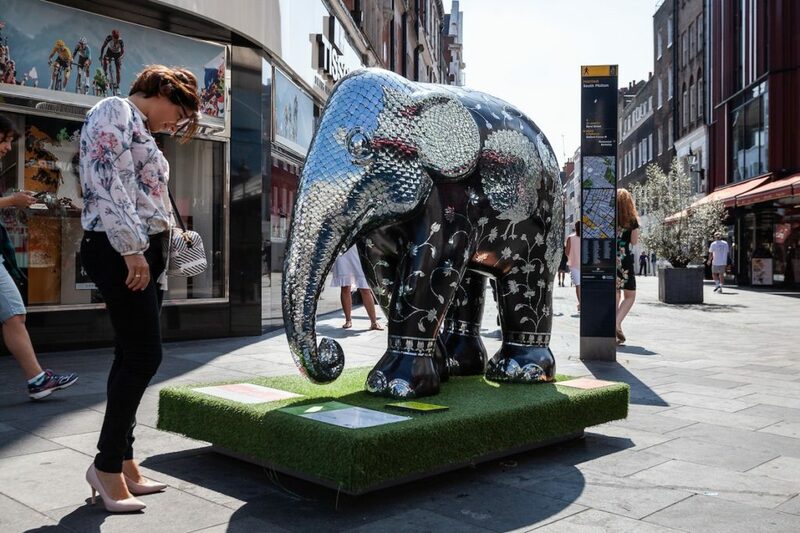 In honour of Elephant Family, a herd of 30 model elephants visited London, beautifully decorated for display in and around Chelsea and Mayfair. 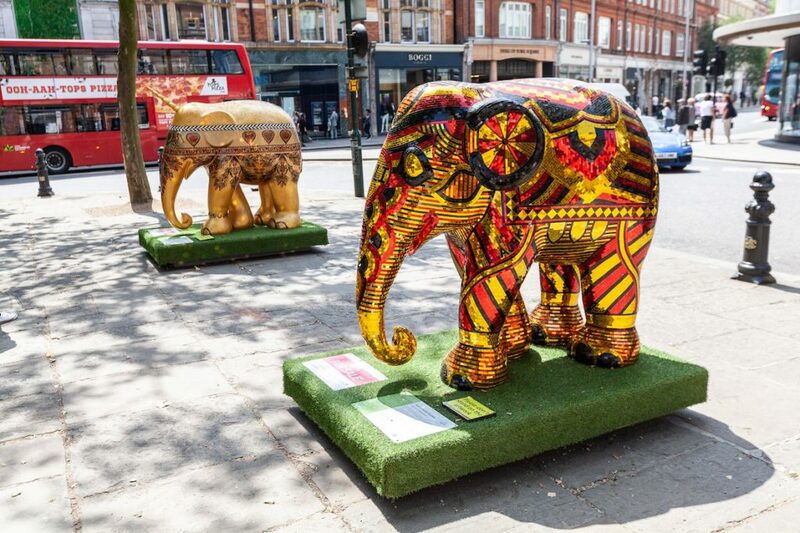 With some incredible artistic contributions from Richard Branson, with a pretty cool design based around items that were historically made out of ivory tusks; Tommy Hilfiger, who went for a vibrant red design with a living plant “mohawk” and Bryan Adams, whose camouflaged elephant symbolised the need for their protection in the wild. I decided to adopt a couple of elephants, Kali 2.0:Divinity Revisited designed by Abu Jani Sandeep Khosla and Sheesh Mahal designed by Rohit Bahl, to show my support for this worthwhile charity. I couldn’t resist their charm – and the opportunity to make a difference to conserving their future on Earth. 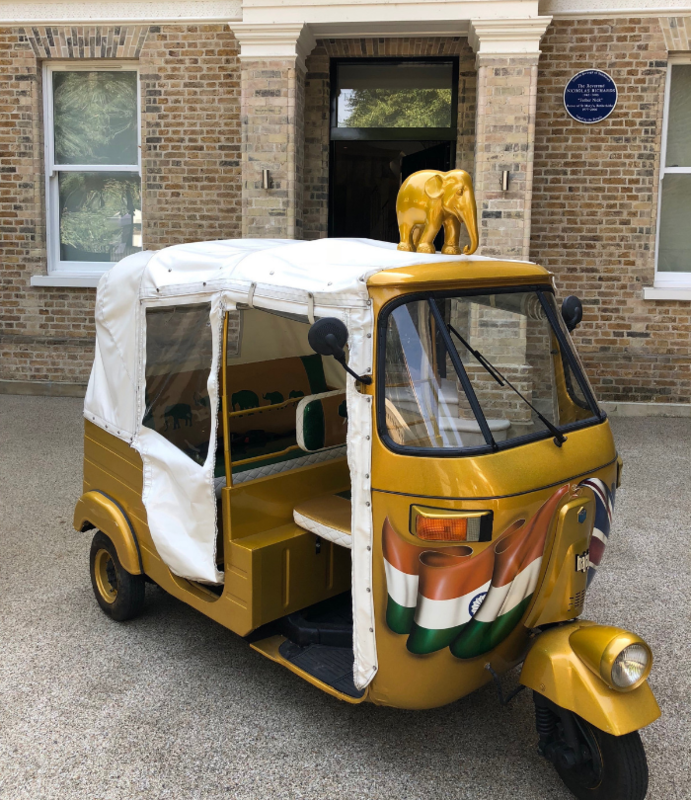 During their recent visit to India, I was pleased to see HRH Prince Charles and Camilla take a ride in the Rickshaw I purchased in support of the Elephant Family charity. What a great opportunity to play a part in vital fundraising while being a small cog in the workings of this important trip for the Royal Family – that’s something to tell the grandchildren one day! So it’s been a humbling, inspiring and incredibly motivating year so far. And my work here is not done, with plenty more lined up for the coming year. As Thomas Fuller once said “Charity begins at home, but should not end there”. To top all this off – I am proud and honoured to have been named as one half of 2018’s top 100 Asian Power Couples with my amazing wife, Shalina. What an accolade! So here’s to India and Asia – they have a huge place in my heart and I hope yours too.